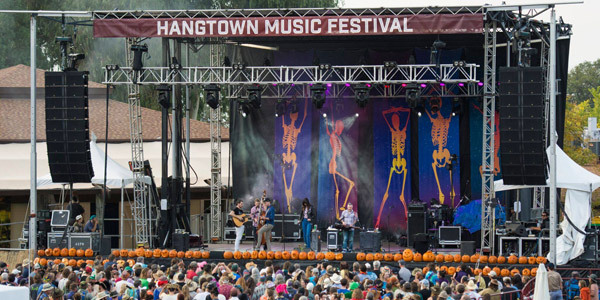 Thanks for being a part of the 7th annual Hangtown Music Festival! Our greening initiative is a collaboration amongst the Hangtown Crew, Artists, Vendors, Attendees and the Placerville Community, If we all work together, we can keep Hangtown, a clean and beautiful environment for everyone to enjoy throughout the weekend. For our 7th year, we are starting to take an aggressive approach to our sustainability department and strive to become a Zero-Waste event. Which means, hopefully, 90% of all of the waste we produced at our event will be recycled, composted, or reused—only 10% will be treated as landfill. While it is an ambitious goal for the festival to completely impact free, we believe that by working together and staying true to our values, we can work to keep the festival's impact as low as possible and continue to lessen our impact year after year. To make this initiative a reality, we need help from all of our vendors. We are bringing composting to Hangtown, and the compost facility takes ALL compostable products along with all food waste. We want to divert as much waste away from the landfill as possible. In order to do that, we need to make sure that all products that the vendors are purchasing are 100% compostable. We are very excited to announce, all vendors can order through Eco-Products, this will help ensure that everything is compostable (there is a lot of greenwashing out there!) If you have any questions, or can't find what you are looking for, please reach out to Marina, the Sustainability Director for Hangtown, her email is marina@wastefree.earth. 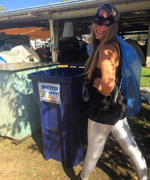 We greatly appreciate all of your help and corporation in making this a Zero-Waste event!